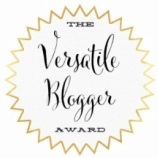 The Queen of Teen Fiction: I've Won The Versatile Blogger Award! 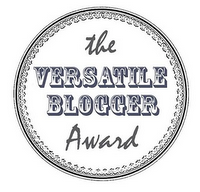 I have received The Versatile Blogger Award from the wonderful HilyBee at Novel d'Tales! 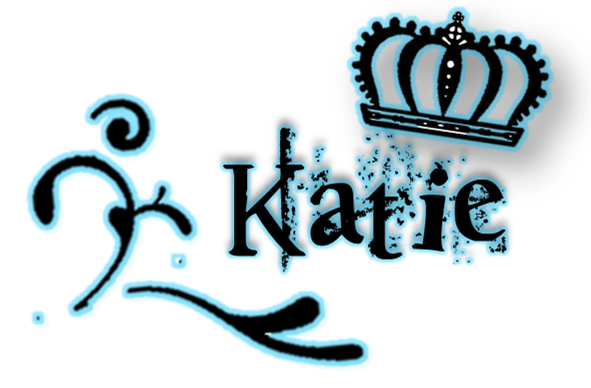 Please be sure to check out her fabulous blog! 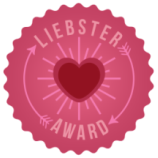 Nominate 15 bloggers and let them know! Looks like you're getting seven random facts about me then! 2. I have a clinically insane dog. She's actually mental. 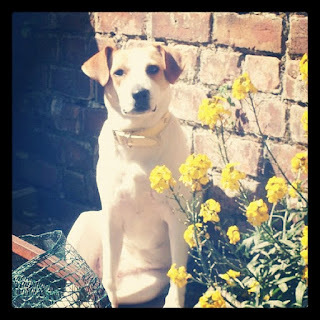 Her name is Dilly and I got her from a rescue center four years ago. The first thing she did when I got her home was run into every room in the house, before peeing in the kitchen. Don't let her cuteness deceive you! 3. I study media - all sorts of media. I do journalism, photography, radio, public relations, TV production and my personal favourite, film production. Steven Spielberg, watch your back! 4. I have a slightly unhealthy obsession with giraffes. I don't know how it happened. 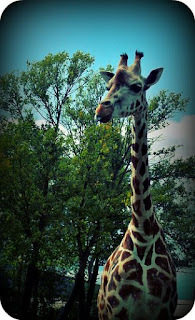 I was just at the zoo one day when I suddenly realized how adorably awkward they were. How can you not love them? 5. I have a serious weakness for cute bras. Don't ask me why, but I've just got to buy cute bras. In fact, I did actually consider calling this blog 'Books and Bras' to combine my love of reading with my other clearly normal obsession. 6. *Brace Yourself* I don't like Kindles! I know, it's awful of me, but I really do prefer a physical book. I can't imagine a world without turning pages and taking in that shiny new book smell! 7. 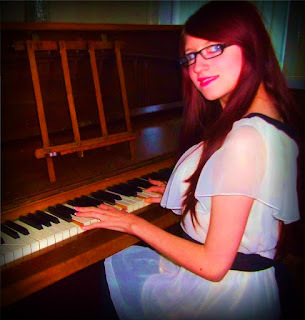 I play piano. I got bored one day and decided to play on the little keyboard I had in the corner of my room, learning simply from YouTube tutorials. Three years on, I finally bought myself a 'proper' piano, and it might actually be the love of my life. 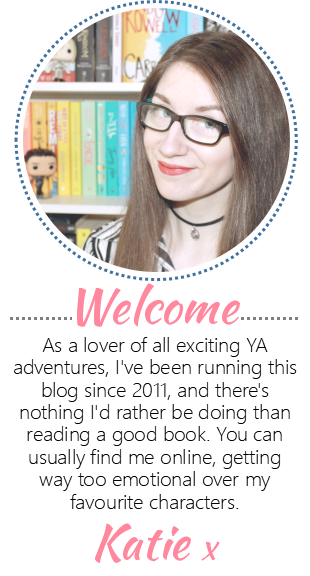 Thanks SO SO SO much for putting my blog on your list!! Thank you so much!!! :-) I love your blog, new follower!